Some people or websites get real technical when describing how to throw a baseball. But I’m betting you are here because you want to know the best way to teach a child who doesn’t know how to make a throw. You certainly are not looking for a lot of scientific information on the correct wrist angle or the proper rotation of the baseball. 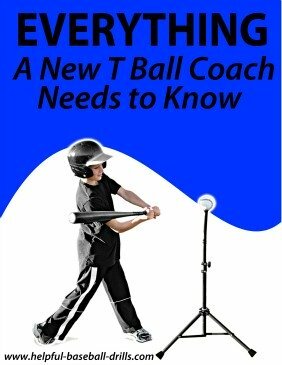 I have coached many tee ball teams and you would not believe how many four and five year olds show up to the first practice and do not know how to throw a baseball. I can usually spot those non-throwers right away. Our First Throw Was Where? 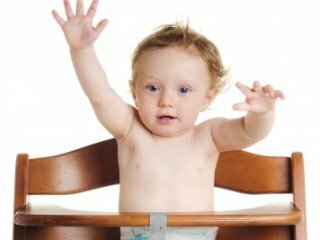 Our first throws are typically from a high chair. Mom has plopped us down and put some food in front us to eat. We told her we didn’t like the peas, but there they are. We scope up a hand full (which isn’t too many since our hands are so small) and we fire these right back at her, or maybe at big sister or brother. We don’t get to do that many times before we are taught that that kind of behavior is unacceptable. So our throwing days take a break. Sometimes we don’t get another opportunity to throw again until mom or dad signs us up for tee ball. Now that we are much older and have been throwing the ball around for years, we forgot how we learned “how to throw a baseball”. It’s like riding a bike; we just do it naturally now. We need a little a reminder on how to teach someone else. Ok, let’s get started with how to throw a baseball. I probably don’t have to tell you this but start out with a ball that is soft, not a real baseball. Wal-Mart and Target sell tee balls, and there are even balls that are softer than a tee ball. Or you can use a tennis ball. Starting out we do not want to make them scared of the ball. Even though we are talking about how to throw a baseball, it is the next step of catching the ball that we want to plan for. 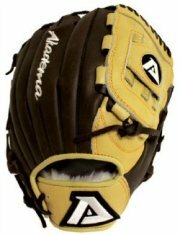 If they start out using a ball that is soft, they are more likely to be unafraid when it comes time to catch it. Have the boy or girl make that first throw with no instructions. This gives you and them a starting point to work with. Watch their legs closely, because nine out of ten times they will throw without moving their feet. And they will probably round house the ball to you. Maybe not even bend their elbow. The reason they don’t step is they haven’t been taught to. After that first throw, and after you tell them that was a great first throw, let’s have them step while throwing. If they throw with their right hand, have them step forward with their left leg at the same time that they throw the ball. And, if they throw with their left hand, have them step forward with their right leg at the same time as they throw. This will take a few tries or more before it feels right to them. It takes a while to get the leg and arm in rhythm together. But we are making progress with how to throw a baseball. And about that step forward. You forget until you are teaching someone, but you step directly towards who you are throwing to. Beginners tend to start out stepping to the side and throwing straight ahead. That doesn’t work so well. 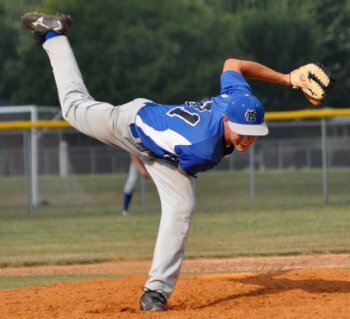 Correcting the direction of their step will help fix the aim part of throwing. There should be a big improvement with their throws as they get comfortable with stepping straight forward and throwing. Tell them great job and move on to step two. Now that they have the step down, let’s work a little on the throwing arm. 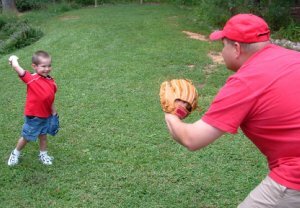 Most kids will short arm their first throws. By short arm we mean they do not bend their arm back very far. Probably not back pass their head. So teach them to reach behind their back, and to turn their throwing shoulder back. This will help get the arm extend back. Their throws should start going much further in distance. Ok, once you feel they have the step down, and their arm is extending back, let’s amp things up. To really start throwing with some distance, you need to teach them to step with their throwing leg first. Now, they still are not going to throw the ball until they step with their non-throwing leg. But a little step with their throwing leg will get their body moving forward faster when they do throw. This additional step should work right in pretty smoothly. It’s a real natural motion and will improve the throws. Everything seems to be clicking and there is just one last thing to talk about. When they throw the ball, their arm should come down across their body. This is called a follow through. It should make the throws a little more accurate and it helps keep the throwing arm from hurting. In the picture on the right, while I know this is not his first throwing attempt, lol, it does offer a good view of the arm following thru that we are talking about. Bring the arm down across the body. 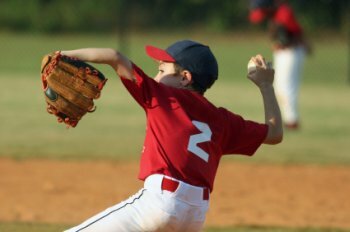 It is a good habit to get into at a young age, and will help prevent arm injuries in the future. 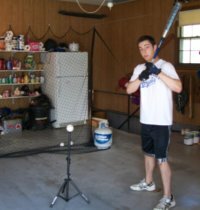 To sum up, this article describes the foundation for how to throw a baseball. Every major league pitcher took these same steps to first learn how to throw. But they didn’t stop here did they? Keep practicing and you never know what might happen.